Electrical energy costs money, so when we put it to work in our shop it costs money. It is inevitable. The question becomes how can we minimize the cost of electricity in our shops. Here is a list from a forum plus a few of my own thoughts on it. Don’t use a power tool when a hand tool will do it faster. Or just don’t use power tools. 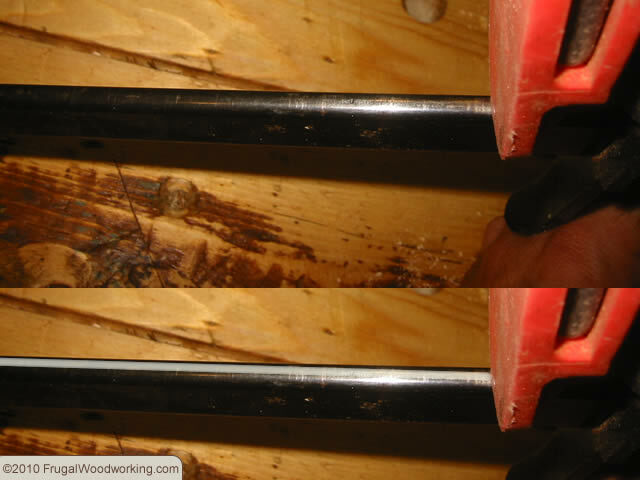 clean sawdust from motor casings – sawdust acts like a blanket and keeps the heat in and prevents air from getting through, resulting in a hotter motor. 220V as opposed to 110V causes less loss due to heat (wasted energy). Theoretically, yes 220V x 8A is the same power rating as 110V x 16A but when it comes to heat loss in a wire, Energy is related to the square of the current, so keeping current low results in less loss. Energy Loss in a wire = I²Rt A motor is lots of long wire, so this can be significant. 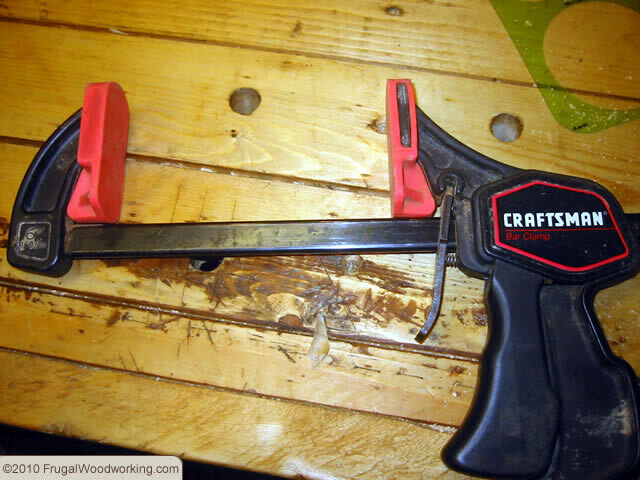 Use corded tools rather than battery powered. The batteries waste more energy in use due to the lower voltage, they waste energy in chemical heat, and they waste it on the charging end too. The only gain is if you can charge them at someone else’s shop. When you must use extension cords, use the largest gauge you can and shortest cord to reduce energy losses in the wire. When wiring the shop, larger gauge wire (lower number) is more efficient and less dangerous than the thinner stuff. Sadly with the recent rise in the price of copper it makes people more likely to use thinner gauges. If you have older buzzing, humming, slow to start shop lighting, replace them with electronic ballast T-8 fixtures and bulbs. More efficient and easier on the eyes and instant on. Due to the electronic ballast, the bulbs last longer too. For those in the snowbelt, a snow brush for the car is a necessity. Mostly I find that the brush and scraper combination lasts for maybe two seasons at best. After a few years the scraper ends up dull or chipped and is no longer good for scraping ice off your car windows. The brush portion however is usually in pretty good shape. Rather than throw that beat up snow brush in the landfill, re-purpose it for the workshop. 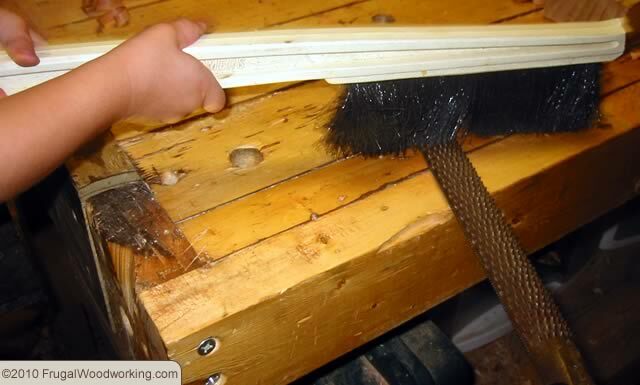 The stiff bristles and the length of the brush make it perfect for cleaning off a workbench or table saw. Just use a hack saw to cut the scraper portion off the end. The bristles are often fairly stiff so I find that the narrow rof of bristles is great for cleaning the debris out of my rasps. Another reason I like re-using these old snow brushes in the workshop is that they are usually flat so you can hot glue a neodymium magnet to the side and stick it to the side of your table saw, drill press, band saw, miter saw or other large power tools that need a good sweeping. There is nothing worse and little more dangerous than a clamp that can’t be relied upon to do its job. I have a pair of Craftsman Quick Clamps that I’ve had for almost 20 years. Over time, they have lost their ability to clamp tightly. The mechanism would just slip. I believe the bar has become too polished and the clutch plates inside too smooth. And no, the Craftsman Lifetime guarantee does not apply to clamps, somehow Sears does not consider them to be hand tools. No longer able to hold securely, this quick clamp was in need of repair. I just gave mine a new lease on life and it cost me nothing but a few minutes worth of time. Here is what I did. I opened the clamp as wide as it would go, then took a file and made a few passes over the top and bottom surface of the bar. I then closed the clamp and did this again to any area that was originally hidden by the clamp head. You are trying to create just a little flat ridge on the top and bottom surface of the bar. With both the top and bottom of the bar filed, the clamp now holds tight. After doing this with all of my clamps, they now hold tight and are able to be clamped down harder than they used to. The roughing up with the file seems to give something for the clutch plates inside the clamp to grab onto. Preserving the initial investment in your tools is a big step toward remaining a frugal woodworker. Frugal and Green often go hand in hand. In an effort to reduce the amount of construction extras from going into landfills, DiggersList.com offers free listings for home improvement and construction classifieds for homeowners, contractors and do-it-yourselfers. Like CraigsList they are broken down by State and City. So far there are only a few cities, but that is likely to grow. There are separate categories for lumber and tools. Unfortunately, the website does not currently offer RSS feeds so it makes it difficult to subscribe to a category or a search. This website has been around a long time. It is a little tough to navigate, but it is worth digging through. It has a wealth of sharpening wisdom based on actual measured results rather than folk-lore. 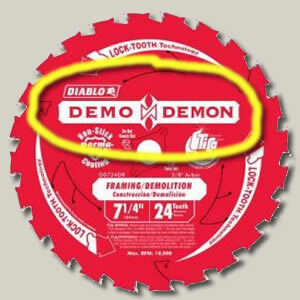 Aside from all the great information, there are tips and jigs which end up saving a lot of money and the recommendations for sharpening abrasives are very affordable. I like his suggestion of using a Norton Crystolon Bench Stone for grinding the bevel. They are fast, inexpensive and stable. The 11-1/2″ length allows for longer , more effective strokes. His recommendation for using 3M Imperial sandpaper for final sharpening is good and cost effective. This is a brilliant tip for not wasting your investment in polyurethane by having to throw it away. Don’t let it go bad and you won’t need to throw it away. Store it in boxed wine system…. and you get to drink the wine too. One way to avoid spending money on new planer or jointer blades is to keep using the ones you already have. Unless they are severely damaged, they can be sharpened without too much effort. 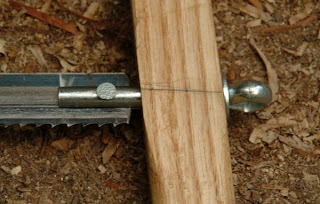 Here is an example of a jig to make sharpening consistent and easy. It requires only a block of wood and a table saw to make it. It is easy to save money in the workshop by making your own tools. This is especially true when the tools are simple in design. This simple marking gauge is worth checking out. I think that upgrading the needle to a nail filed to a cutter blade shape then heat treated might be a good idea, but maybe this needle works well enough as it is. Steve Ramsey from WoodworkingForMereMortals.com has a great set of video clips with a high energy and often tongue-in-cheek approach to woodworking. His tips are valuable and enjoyable. However, he has also taken offense to woodworking plan scams that sell existing published woodworking plans illegally. It is tempting for a frugal woodworker to buy into some of these scams but I agree with Steve, bad behavior should not be rewarded, regardless of the financial savings for the buyer. 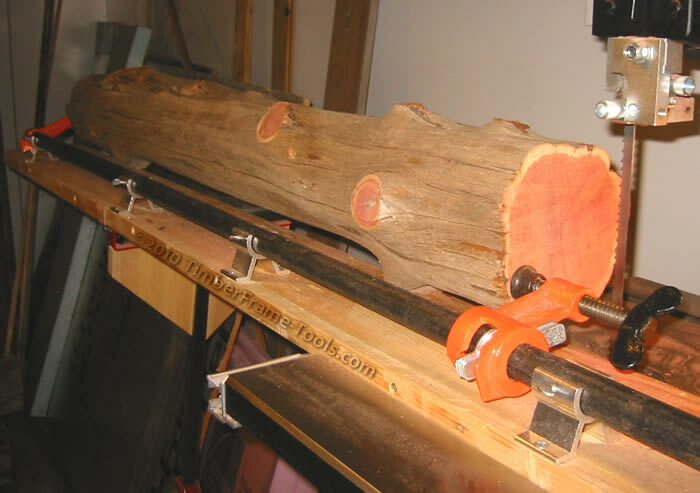 If you are in need of plans, visit his list of legitimate woodworking plan sites.